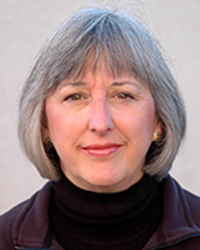 Marcia Hyatt is a presenter and leadership coach with over 25 years of experience. She is certified as a professional coach by the International Coaching Federation. Her clients range from executives in Fortune 100 companies and mid-level managers to artists, entrepreneurs and small business owners. Yet they have two things in common: They’re highly motivated to do the hard work it takes to become a powerful leader. And they understand that the answers to their leadership challenges ultimately lie within themselves. And Marcia is an adjunct faculty member for the Deep Coaching Institute. In 2013, 2014 and 2015 she was voted one of Minnesota’s top coaches by readers of the Minnesota Women’s Press. Marcia creator and host of the weekly WTIP radio feature and podcast “The Best of Ourselves”. In 2018, this show was nominated for the Touchstone Award for it’s impact on the community. She is a master trainer of the Organization Workshop. Marcia co-founded the Center for Emerging Leadership and its Women’s Leadership Community, an intentional learning community that supports women in bringing their whole selves into the world. In 2011, she published, What Have I Mythed? Stories for Reflection. She has worked in leadership development over 30 years. Over the past years, Marcia has created and facilitated highly rated, innovative leadership development programs for a number of Fortune 100 companies and other organizations (several specifically for women leaders). Marcia received the 1995 Minnesota Organization Development Practitioner of the Year award. In 2006, her business, Waterline Consulting, was awarded the national “2006 ToP Champion Award” by the Institute of Cultural Affairs (ICA). She has authored numerous articles, chapters and books on the subject of leadership. Prior to 1991, Marcia held leadership development positions in computer and energy businesses. She also held several positions at the University of Minnesota including Assistant Professor.